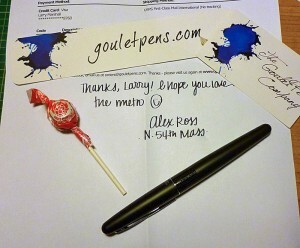 Is there a better online company than Goulet Pens? Their service is simply amazing. No, it’s unbelievable. I ordered a $15 pen from them. This is what I got in the mail today. 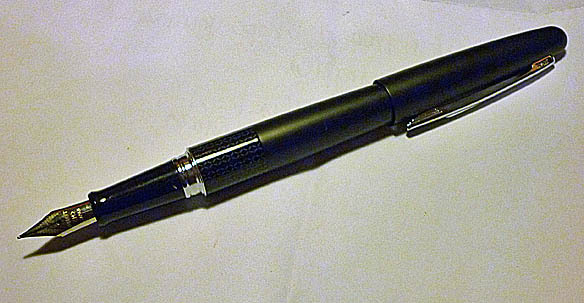 The Pilot Metropolitan came in the typical (as in nice) Pilot box. They also sent me a business card, a bookmark, and a lollipop. A lollipop… can you believe it? And Alex wrote a nice note, in impeccable handwriting, and he used Noodlers 54th Massachusetts ink, the new bulletproof ink that Nathan Tardiff has brewed up. All this and I only bought a $15 pen. 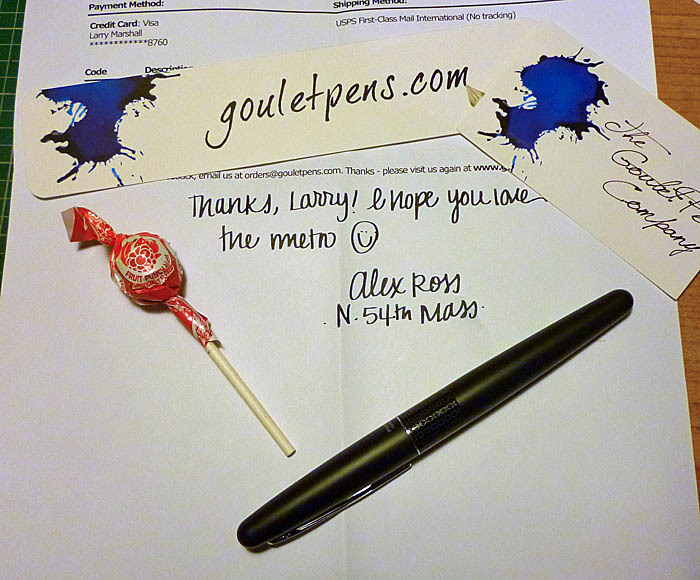 Thanks Goulet Pens. You are the online seller to which all others are compared. So, with lollipop in mouth, I opened up my Pilot Metropolitan. It came with a Pilot CON-20 “squeeze” converter and a cartridge. I’m not a fan of these rubber converters and didn’t have a CON-50 on hand but I did have some empty cartridges so I filled one with Noodler’s Lexington Gray, my favorite sketching ink, and the pen was ready to go. Everyone is talking about these pens, saying they’re a lot of bang for the buck. 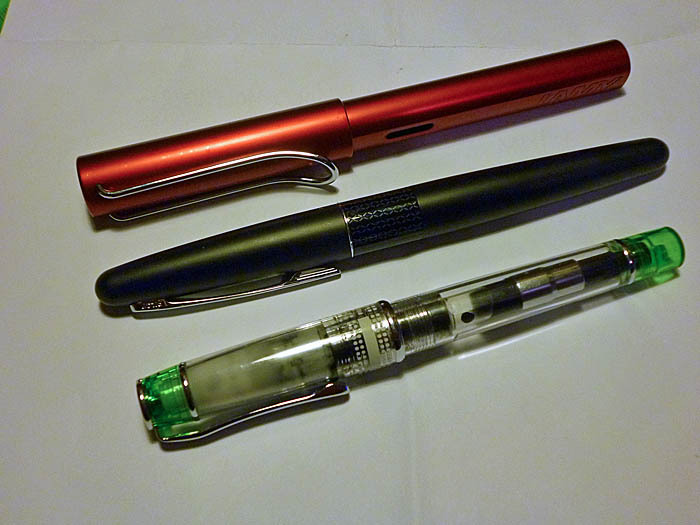 My go to sketching pen is a Pilot Prera (F) because I love its fine line and great features. Sometimes, though, I need a slightly thicker line in some sketches and I thought the Metropolitan might serve that purpose as it is a Pilot medium nib which is similar to a Lamy fine nib. I was right. Posted it’s just slightly longer than my posted Pilot Prera. The pen balances well even when posted and it’s comfortable in my hand. Before now, I’ve used Lamy Safaris when I needed a thicker line. They’re fine but they’re sufficiently different from the Prera in balance and size that I don’t like switching between them. The Metropolitan makes this switch much easier. In my opinion, this pen lives up to all the laudatory things that have been said about it. It looks good and it’s smooth, at least on Rhodia notepad paper and my Stillman & Birn sketchbooks. I don’t know how Pilot can produce such quality for $15 but I’m sure glad they did. 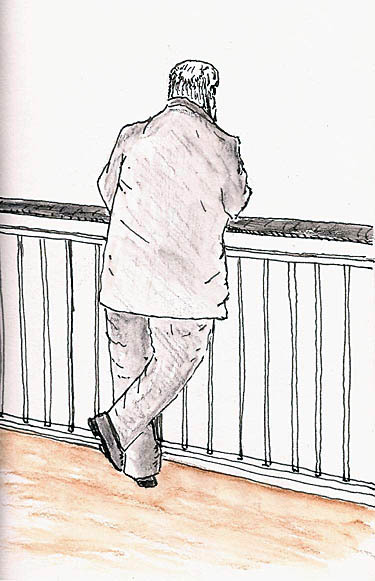 I drew this little sketch in a Stillman & Birn Alpha sketchbook (4×6) to let you see how the Metropolitan pen lines look in a simple sketch.